well, if you need it, by blowing C with a little more force. ocarinas give a truer tone with one than with the other. plays each note�D# and E flat, F# and G flat, and so on. 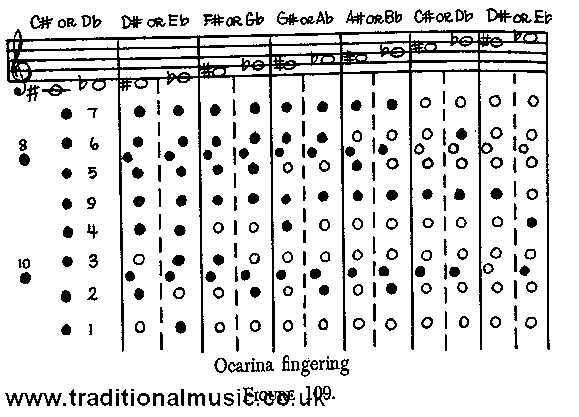 For the sake of absolute clarity, the fingerings shown in Fig. 109 are written out below.